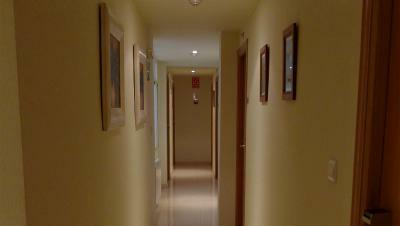 Lock in a great price for Hostal María – rated 8.2 by recent guests! The place was very neat and newly decorated. Very comfortable. Near the train and buys station and the gardens. Friendly welcome. Location. Clean, simple room but all I needed. Very good value. The staff were amazing, and it was very clean , they supply all you need and very helpful, and for the cost very good service. 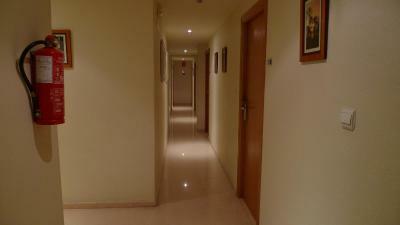 Excellent value for money, this hostal was exceptionally clean. Check in was easy and the room was perfectly comfortable. Clean room, private shower and WC. We got a simple breakfast for the additional price 3.5 eur per person. Canteen facilities very simple. A good choice for budget travelers. Fresh soap,shower gel, combs every day,good shower-that worked!Plenty hot water.Room cleaned every day. Would happily come back,but it would have to be 1st floor.Nice place-impressed!Air conditioning and the 'fridge was good. Hostal María is located in Elche near Alicante and features rooms with free Wi-Fi, air conditioning and flat-screen TV. 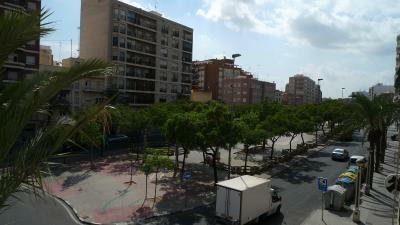 It is 0.6 mi from Elche Train Station and 12 mi from Santa Pola Beach. The hostel offers double, twin and triple rooms complete with private bathrooms including shower. Rooms also include heating, a wardrobe and desk. Hostal María has a bar with a flat-screen TV. Information regarding local activities and sights is available from reception. 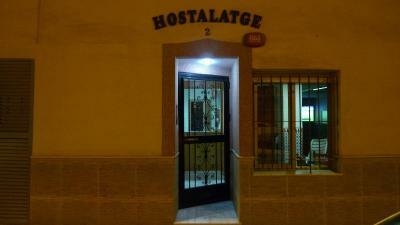 Hostal María is set 6.2 mi from El Fondo Nature Reserve and 16 mi from Los Arenales Del Sol Beach. 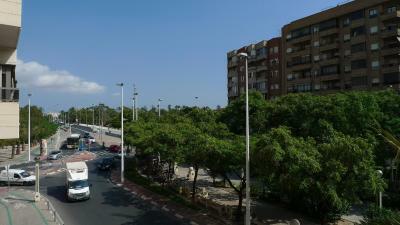 It is 12 mi from Alicante Airport. 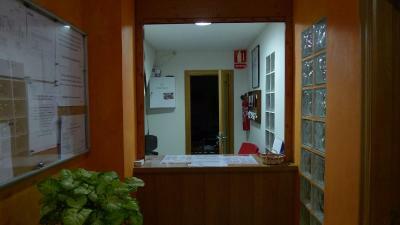 When would you like to stay at Hostal María? This double or twin room has air conditioning, free Wi-Fi, heating and a private bathroom with shower. It also features a flat-screen TV. The room is equipped with a desk and wardrobe. This triple room has air conditioning, free Wi-Fi, heating and a private bathroom with shower. It also features a flat-screen TV. House Rules Hostal María takes special requests – add in the next step! Hostal María accepts these cards and reserves the right to temporarily hold an amount prior to arrival. Furnishings a tad dated - but you're getting what you're paying for here - and for the money this was an excellent place to stay. The bed it was amazing really confortable. TV remote was poor;but I found out how to work the TV controls.The second floor was too much for me,I couldn't do that again because of my arthritis-although Maria was very kind and would help if I asked her. Nothing much. Did its job. Basic but clean. Very friendly family run hotel. Maria and her daughter speak very good English, others will patiently communicate with your limited Spanish. 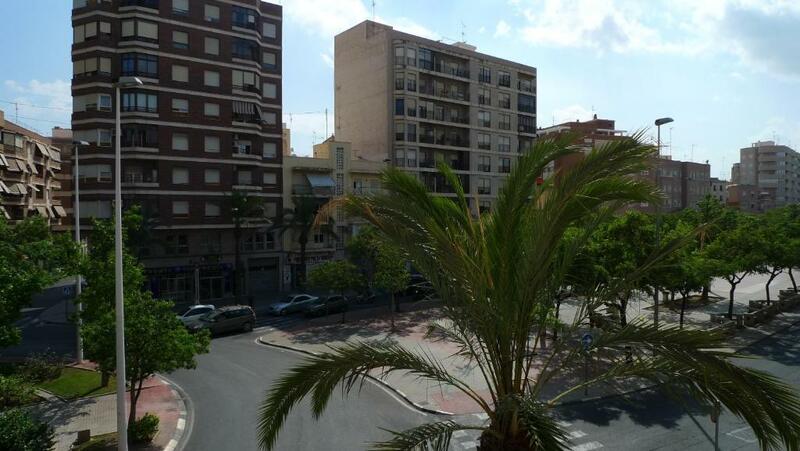 Close to train and bus stations and to town centre.